"No need to sharpen", Maybelline says. I thought the pencil would be retractable and the rest of the bullet was housed in the plastic tube, but no, this is all you get. 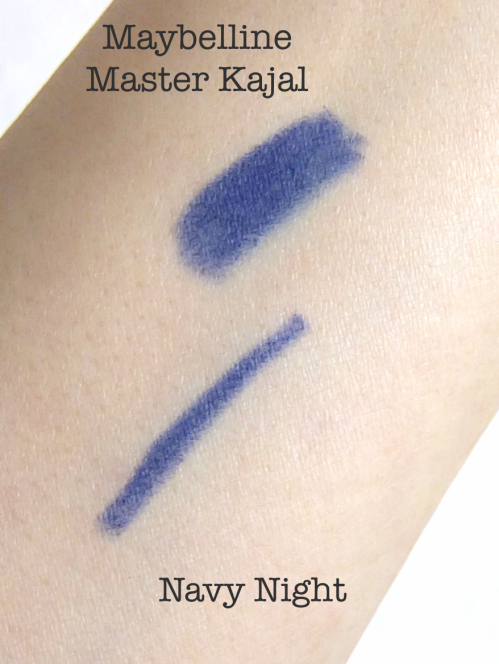 Master Kajal feels very waxy and certainly not creamy as the name "Cream Kohl Eyeliner" might suggest. It reminds me of a Crayola crayon. No joke. The name Navy Night is misleading as well. It is a greyed royal blue at best. Longevity is not an issue for me here. Because of its waxy and almost dry texture, it does last for a long time. I smudge and set it with powder eyeshadows anyway, but it does not run on my lids. However, I am very disappointed to see the liner crumbles and does not go on smoothly at all. The lack of color depths is another downside. This is the look I came up with today. 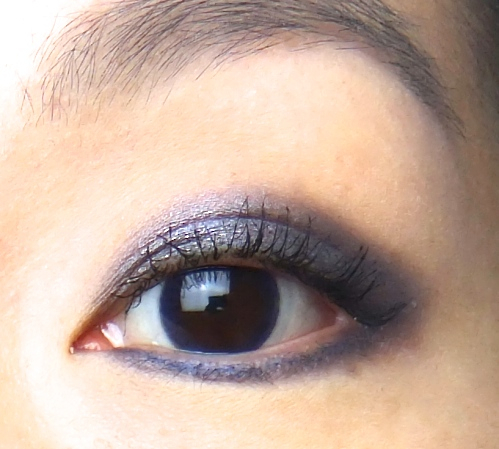 I put on Master Kajal Navy Night on my eyelids and lower lash lines, and blended it using a taupe colored powder eyeshadow. I am somewhat pleased with the finished result, but it is nothing like the campaign image from Maybelline. I am pretty sure it is not Master Kajal Navy Night that she is wearing. I would have returned it if I hadn't torn the package up into pieces. I guess I can still use it for soft blue smoky eyes or something, but I am more upset that I got sucked into buying another mediocre Maybelline product because of their extravagant ads. The new Color Tattoos Leather collection does look nice, but I am not sure if I'd want to pick up any other Maybelline stuff after this. 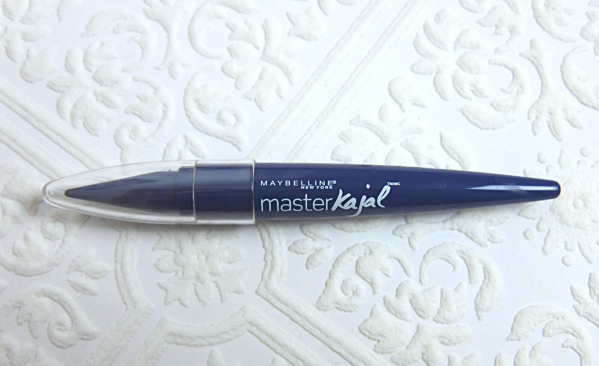 Have you tried Maybelline Master Kajal Cream Kohl eyeliners? 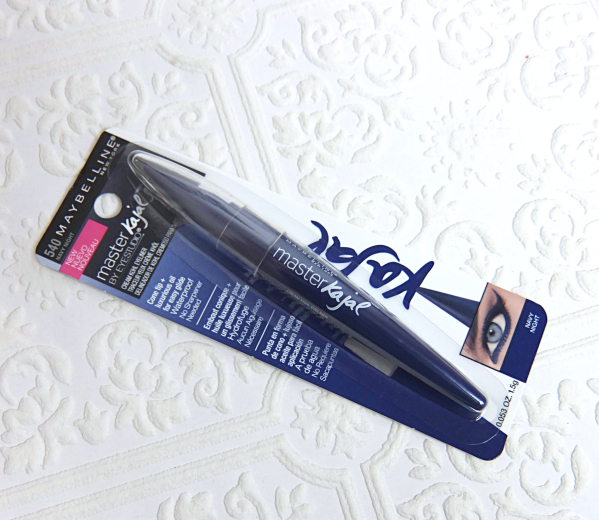 I have the brown one and only tried it on my waterline and surprisingly it lasted not bad there! Not perfect, but not bad! Oh sorry Lena this is not a hit. It definitely doesn't seem to have the same color payoff as the ad. Having a drugstore downstairs I too would probably be in trouble. Maybelline is not my favorite brand because of the quality in general. Recently they got expensive, too. Shame on them! totally does not compare with the ad...i've heard similarly disappointing reviews but was so curious about it. thankfully this is a pass for me. Oh too bad this one didn't live up to the extravagant ad! The blue on the ad is so nice, it is def something else, or too much photoshop! 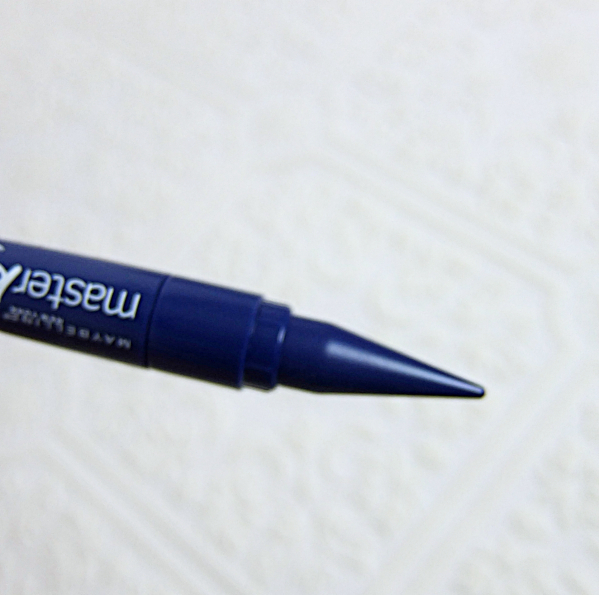 I had one pencil eyeliner from Maybelline but it irritated my eyes so I threw it away.. Yeah..I still want to try the Color Elixirs and the new Color Tattoos. Maybelline used to have the charm of "less-expensive-than-L'Oreal-or-Revlon-but-has-some-interesting-stuff", but they got expensive, too! Only that the quality is missing. I don't like where they are going! LOL - When you say downstairs, I know exactly what you mean. I think Maybelline's face and lip stuff are okay but never really got on with their eye stuff. They seem a little more exciting lately so I've been looking at them, but even the Tattoo thingies are just mediocre. Oh, ok..now I want the new Color Tattoos a little less. There is a matte vintage mauve-y taupe that calls my name. I don't know what is wrong with me. Aw, I'm so sorry you don't like it at all! the reason why kajal products like this don't interest me are for the reasons your described about the packaging, traditionally they are in that shape and to my knowledge I'm not sure how you would sharpen it easily! We have testers for all drugstore products here so I'm lucky to be able to test it out but we don't have any return policy! Besides the downsides I think you'd made it work but I guess it's not too much of a loss since it's not such a pricey piece! Wow. I would be super disappointed, too! :( I do not like false advertisements! Photoshop. I hate it when they make ridiculous advertisements. Thanks for the heads up though. Won't bother looking at it! I get mad every single time but still use it sometimes. Haha. It is useful to base for taupe eyeshadows creating subtle depths. But I must say Maybelline is especially terrible with false advertising because their products are not that high quality! Ohh I was going to buy one after seeing its popping color in that banner. But not now. Thanks for the review. 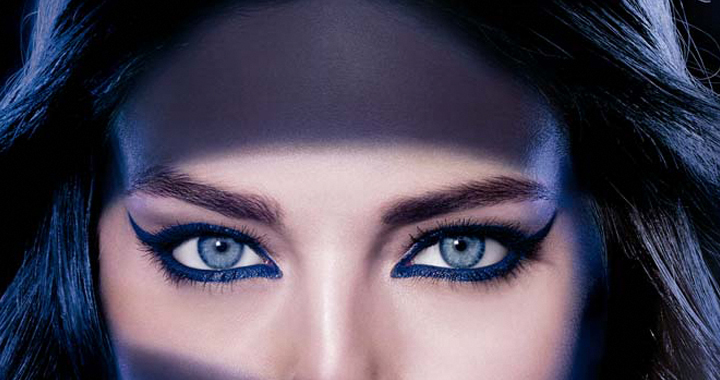 Maybelline ads are always so tempting, but there are better kajals out there in my humble opinion. Let me know if you find something that works nicely for you.